We’ve put together some top ideas and money-saving hacks for you to create a blooming beautiful garden, without breaking the bank! Grass cuttings, egg shells, kitchen scraps and cardboard can all be used to make your own compost! 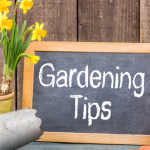 Start a pile in a sunny part of your garden and add your scraps along with an equal mix of wood waste. It takes around 6 months of regularly turning and mixing with a garden folk, but it’s well worth it and can save you a heap of money. Instead of splashing out on expensive sprays, powders and remedies, there are plenty of environmentally friendly and humane ways to keep pests at bay. Beer! We know you don’t want to waste any, but we assure you it will be worth it! Place a saucer of beer near your plants and it will keep slugs well away. If they are getting into your potted plants, put petroleum jelly around the base and top and they will just slide away. There’s no need to spend on expensive seed trays when you can make your own from household scraps. Empty egg cartons and fruit punnets make great containers for planting seedlings. When they are ready to be planted, you can easily transfer them into the ground and the cardboard will decompose in just a few weeks. A great idea for money saving is to swap samples with friends. It’s an ideal way to get some variety in your garden and a handy try before you buy! 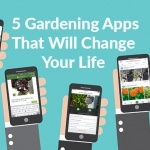 You can also pick up some great tips from fellow gardeners. Why buy a fancy or expensive watering can when you can make your own for free! One of your old 4-litre milk bottles will do the trick! Use a hot needle to create holes in the lid, fill with water and you’ve got your very own, home-made watering can. The wooden sticks from ice creams are perfect for labelling your plants and remembering where you planted what. As well as saving money on labels, it’s also a great excuse to eat more ice cream! Do you need any more convincing? 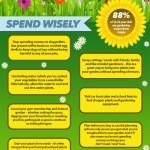 They say money doesn’t grow on trees, but with these helpful gardening tips you can save money from your garden! So that’s almost the same right? To save more money in your garden, why not try and fix your faulty garden appliances yourself? Check out our Advice Centre for common faults and easy ways to fix them.